Be ready for the launch of a live music tour with Mr Maph in partnership with Collective Calling. Join us for a night of champagne, canapés and live entertainment. All the funds raised from this event will empower vulnerable children and orphans. 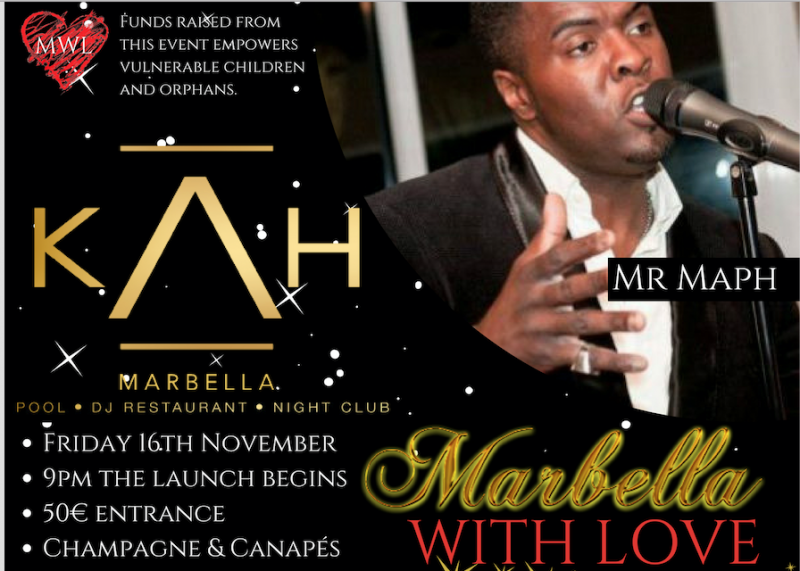 You can't miss the Marbella with Love Launch Night @ KAH Marbella, Nov 16, 2018.